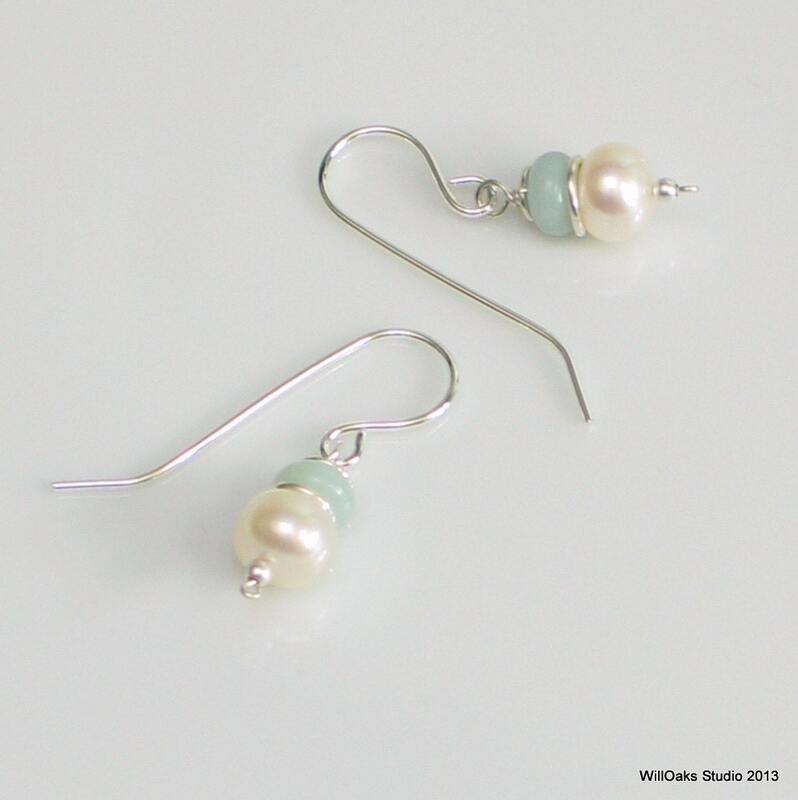 White freshwater button pearls are joined to smooth soothing aqua blue stone-natural amazonite-a dainty, feminine pair of drop earrings for dress up and for every day. Hand formed sterling silver ear wires are made in my studio and tumbled for hardness and shine. A hand formed ring is created of sterling silver and fitted to sit between the pearl and the stone. 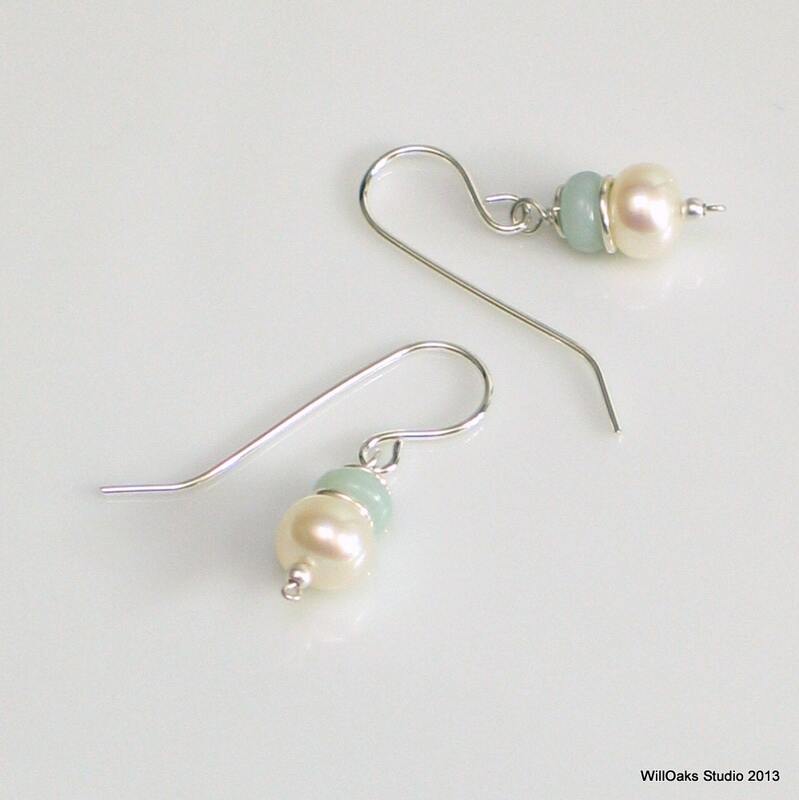 Beautiful pastel duo and just a little more complex than plain pearl earrings. 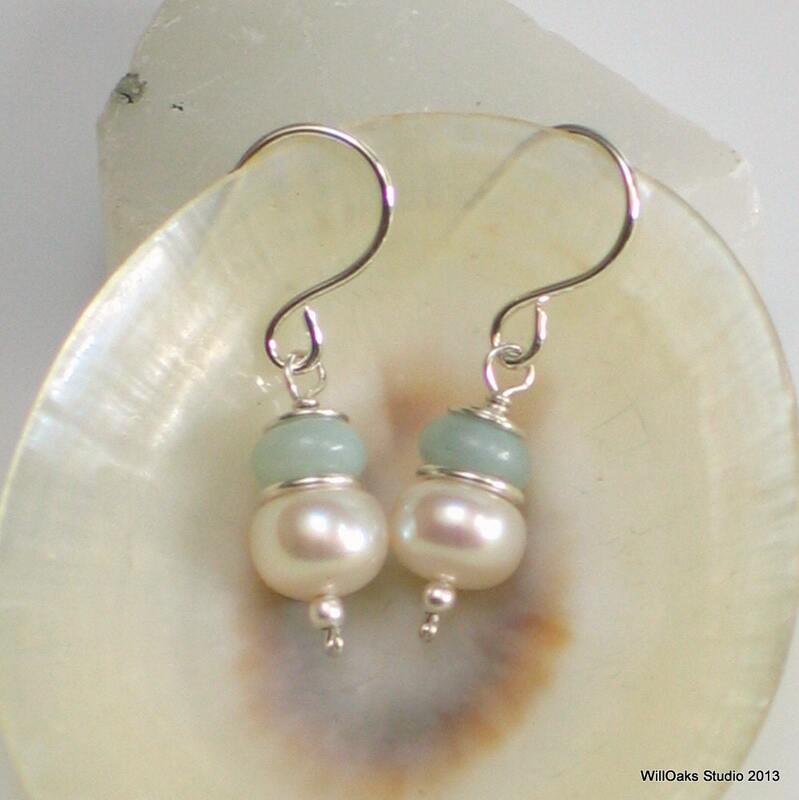 Pearl earrings are a necessity! 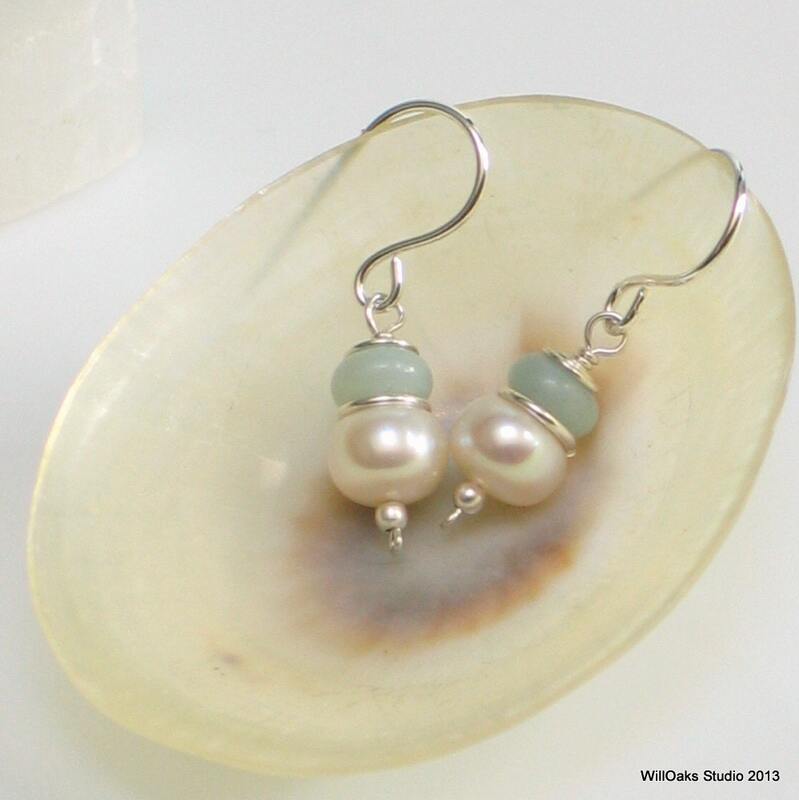 This design will coordinate with so many of the other pieces in my studio http://www.etsy.com/shop/WillOaksStudio and are fashionable and affordable. Earrings measure just under 1 1/2" (35-37mm) long from the top of the ear wire. Earrings are packaged in my signature packaging, ready to gift. 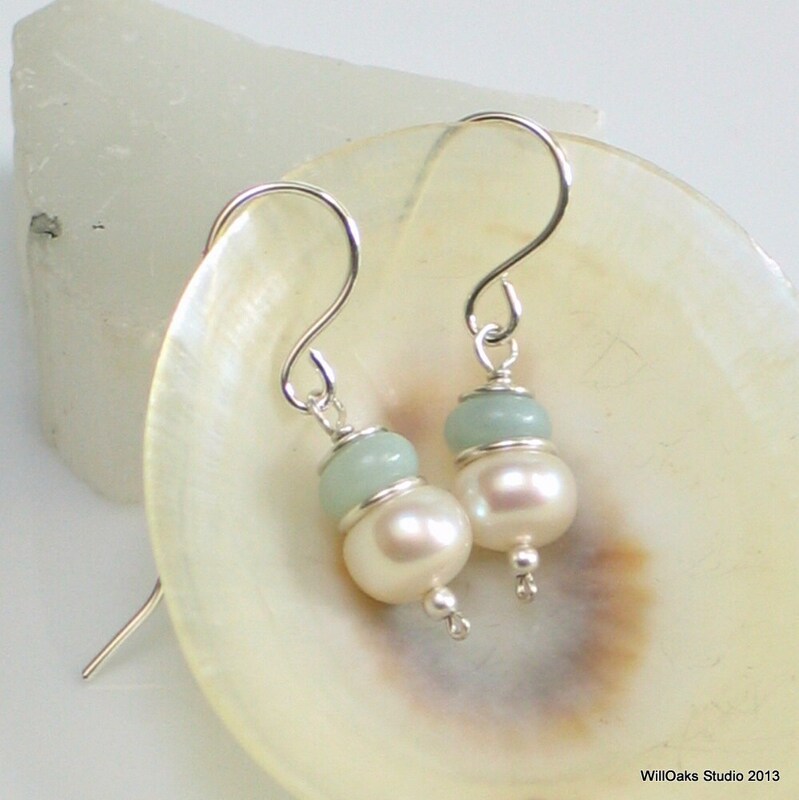 Find more pearls here in my studio https://www.etsy.com/shop/WillOaksStudio by checking my different sections or by putting "pearl" into the studio search box. Drop me a note with any comments or questions and thank you for stopping by!